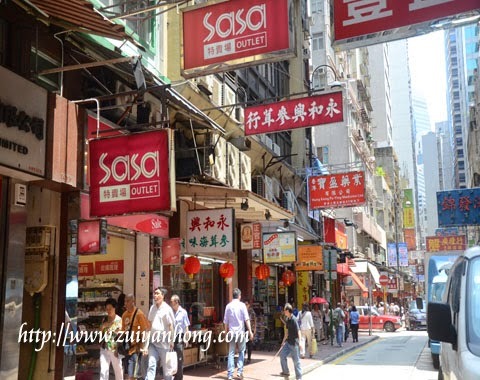 During our Macau trip, we headed to Hong Kong on third day of the trip. 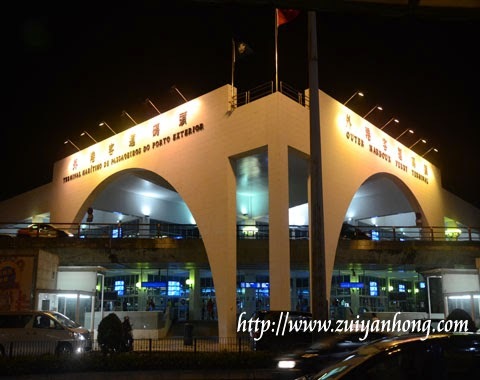 We went to Hong Kong by boarding a turbojet ferry from ferry terminal at Macau Outer Harbor. This is the photo of the turbojet ferry me boarded from Macau to Hong Kong. 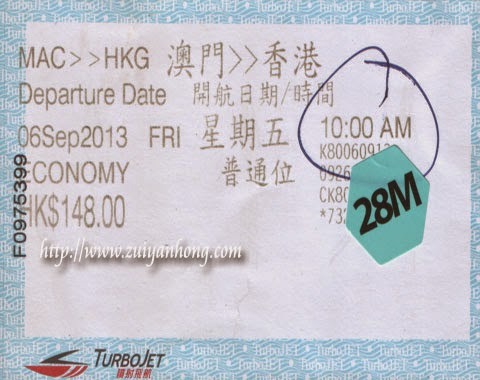 The economy class ticket price of turbojet ferry was HK148.00. The price of the ticket of day trip and night trip were different. The ferry arrived in Hong Kong and anchored at Shun Tak Heliport. 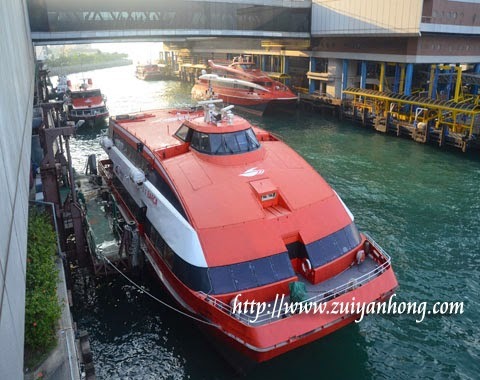 The traveling time from Macau to Hong Kong by turbojet ferry was around 55 minutes. 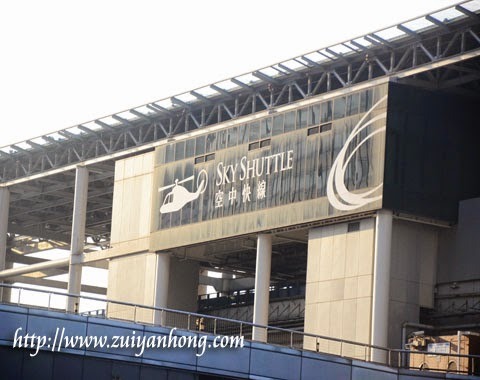 Besides turbojet ferry, helikopter service is also available for passengers travel between Macau and Hong Kong. 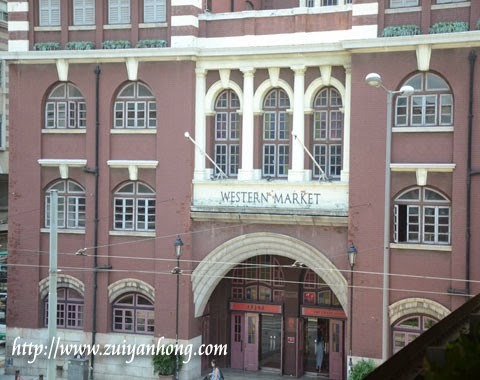 Western Market is a shopping complex located opposite Shun Tak Heliport. We were running out of time so we didn't enter Western Market. 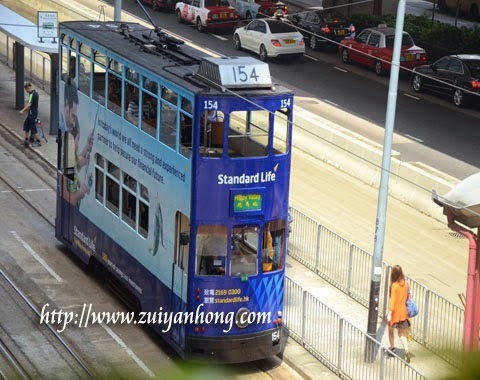 It's happened that a tram was passing by when we were at the footbridge crossing from Shun Tak Center to New Market Street. 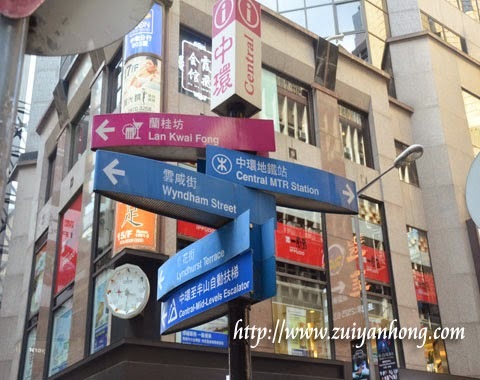 We savored lunch at a food court near Westrern Market. 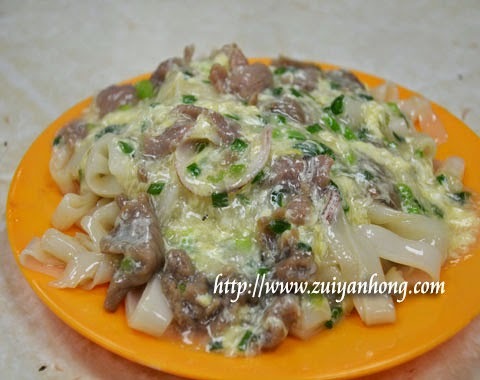 Arr......we had waited for quite long for this beef hofan to be served. Chinese tea was supply free of charge for diner. You can drink the tea or use it to wash chopsticks. 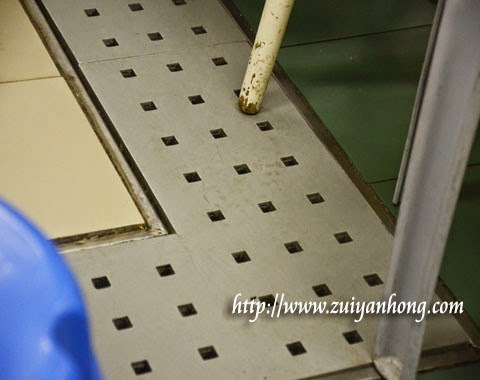 The stuff with many holes was the cover of drain under dining table. 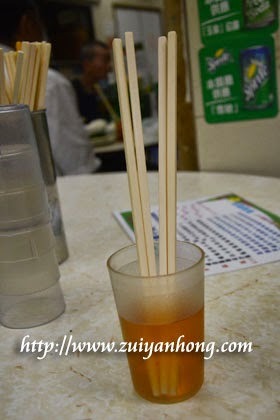 After washing the chopsticks, the tea can be poured into the drain. 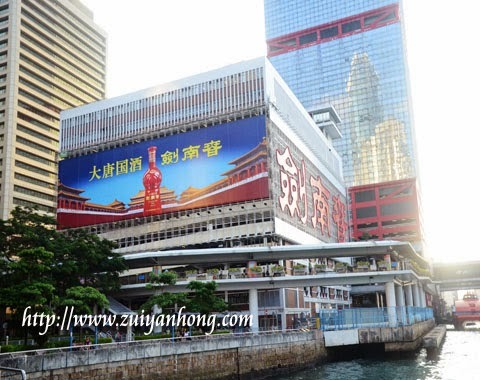 I will share more photos of Hong Kong for the next post on Hong Kong.